3.Nc3 is White's most active weapon against the French Defense. GM Marin provides an opening repertoire for Black based on 3...Bb4, commonly known as the Winawer Variation. While both 3...Bb4 and 3...Nf6 are principled as they attack White's center, the author has a clear preference for 3...Bb4 because it offers an early strategic plot, similar to his recommendation against 3.Nd2. The point is that in many lines of this variation, the exchange on c3 leads to strategically double-edged positions. White's main attempt at an advantage is to block the center with 4.e5. Naturally, he has a host of less popular alternatives, which have to be studied seriously and Marin devotes full 10 chapters to this end (Chapters 1-10). Against 4.e5, he provides a detailed exposition of a rare, but interesting variation – 4...b6!?. This, so-called Bronstein Variation, has been seen in games of French Defense experts of the greatest caliber, such as Viktor Korchnoi, Tigran Petrosian, and Rafael Vaganian. 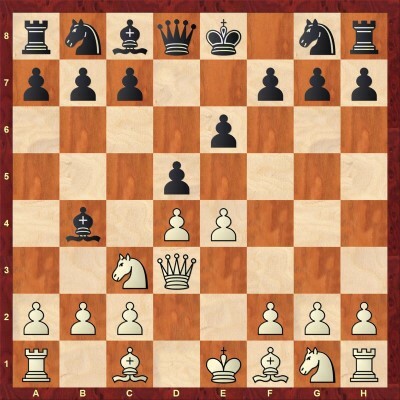 Black's idea is two-fold: firstly, he wants to trade-off the "French bishop" with ...Bc8-a6; and secondly, he prepares the thematic c7-c5 break by supporting it with the b-pawn. According to Marin, "the main attraction exerted by this system is that concrete theory tends to be less important than positional understanding, something to be treasured nowadays." This is especially true if one has in mind the heavily-analyzed "Poisoned pawn" variation of the Winawer (4...c5 5.a3 Bxc3+ 6.bxc3 Ne7 7.Qg4 Qc7 8.Qxg7). Indeed, the g7- square is Achilles heel of Black's solid setup and White tries to take advantage of it in many lines of the Winawer with Qg4. What is Black going to do, then, in case of the queen sortie 5.Qg4 in the 4...b6 variation? Well, he simply retreats his bishop to f8 and claims that White's queen move was not an opening tempo best spent (Chapters 12-18). In fact, the author believes in the soundness of this setup so much, that he suggests the retreat of the bishop to f8 also in response to 5.a3 (Chapters 19-25). 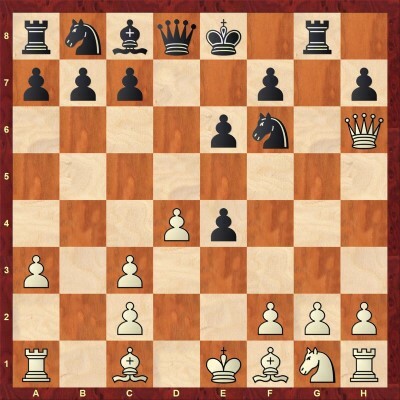 Black is very solid and prepares to undermine White's central wedge d4-e5, inviting a complex middlegame. 4.Qd3 protects the e4 pawn and keeps White's center flexible. However, queen moves of this sort are usually not recommended at such an early stage and Black proves it by winning an important opening tempo with 4...dxe4 5.Qxe4 Nf6. 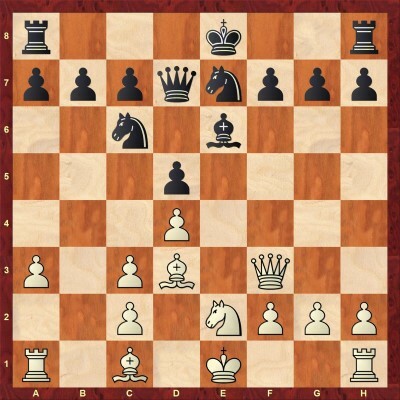 Now White's principled continuation is 6.Qh4, when Marin recommends 6...Nc6! ?, attacking the d4 pawn and preparing a useful maneuver Nc6-e7-f5. Capture on c3 is also on the agenda and Black usually obtains good counter-chances. More double-edged of the two queen moves, 4.Qg4 leads to a version of "poisoned pawn" variation after 4...Nf6 5.Qxg7 Rg8 6.Qh6 Rg6. 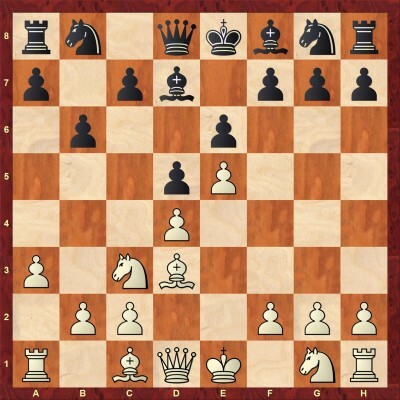 The problem for White in this variation, along with lag in development, is the unsafe position of his most valued piece. Among several alternatives, 7.Qe3 is the most popular queen retreat, but the queen does not feel comfortable there either, as evidenced by 7...c5. 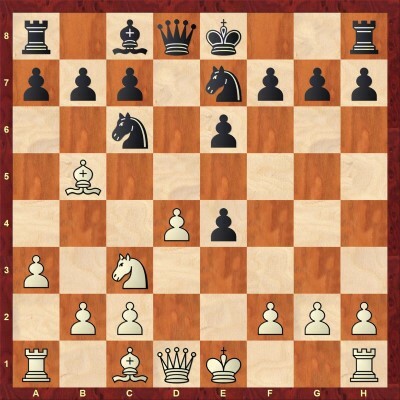 Now, after 8.a3, Black keeps the bishop on the diagonal with 8...Ba5 and White might regret taking the pawn on move 5. Alekhine's move that prepares the attack on the g7 pawn, only without allowing Black to weaken his pawn structure with Bxc3. The author believes that "the drawback of the last move is that it does not do much for consolidating the d4-pawn, which Black can immediately take advantage of..." with 4...dxe4 5.Qg4 Qxd4. 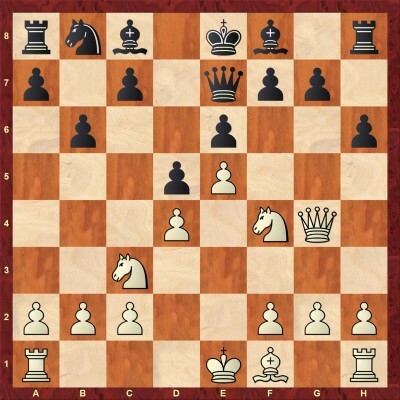 The position becomes sharp and in response to 6.Nf3 Black needs to remember to continue dynamically with 6...h5!. White can either choose a suspicious middlegame with 7.Qf4, or return the missing pawns and equalize in the endgame with 7.Qxe6. Similarly to 4.Qd3, Black wins s tempo for development with 4...dxe4 5.Bxe4 Nf6. White's idea in this line is to put the bishop on h1-a8 diagonal – 6.Bf3, which hampers the development of his light-squared colleague on the other side. 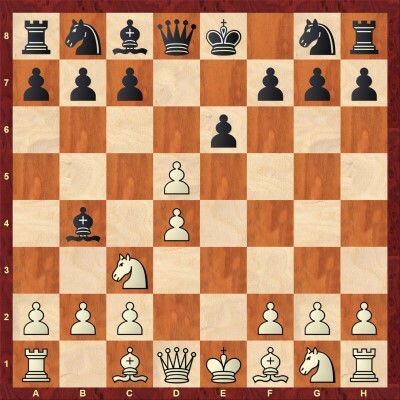 However, Black has another way to develop the bishop: 6...0-0 7.Nge2 e5!?. Now, accepting the pawn sacrifice with 8.dxe5 leads to clear compensation for Black after 8...Qxd1 9.Kxd1 Ng4 10.Bxg4 Bxg4, etc. A counter-sacrifice 8.0-0 Bxc3 9.Nxc3 exd4 10.Nb5 looks more ambitious for White, though his compensation after 10...c5 might be good enough just for equality. According to the author, this is White's most consistent attempt to target g7 pawn. Indeed, this line, once preferred by Bobby Fischer, has regained some momentum in recent years. 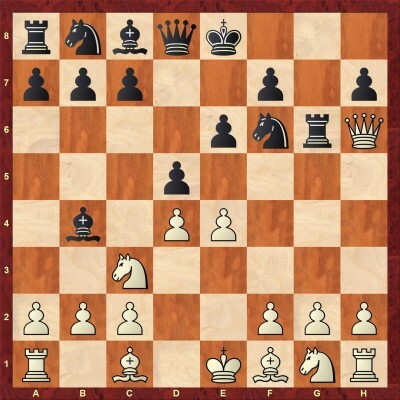 After the introductory moves: 4...Bxc3 5.bxc3 dxe4 6.Qg4 Nf6 7.Qxg7 Rg8 9.Qh6, Black has a wide choice of options. 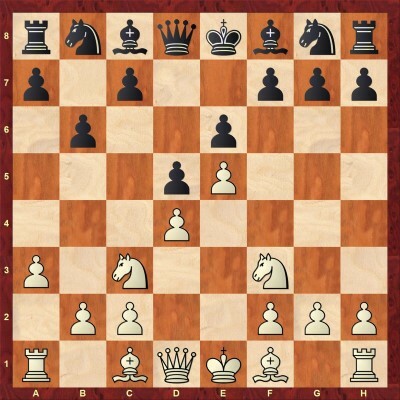 GM Marin proposes relatively rare, though very sensible 8...Bd7!? He explains: "The usual plan is based on ...Nbd7, ...c7-c5 and ...b7-b6. The last move keeps the possibility of ...c7-c5 without obstructing the queen's access to a5 and exposing the b-pawn to a4-a5." It should be added that the bishop often goes to c6 (sometimes even a4) square, clearing d7 for queen's knight. White's Bc1-g5 is met with ...Rg6 and if Black is in time to counter-attack with ...Qd8-a5 and castle long unchecked, his position would even be for preference. This is the third most popular answer to 3...Bb4, known from the famous game Alekhine-Nimzowitsch, Bled, 1931. 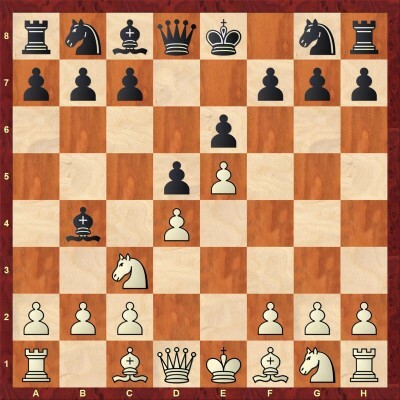 Its main purpose is to over-protect the c3 knight, not allowing Black to compromise his pawn structure with ...Bxc3. 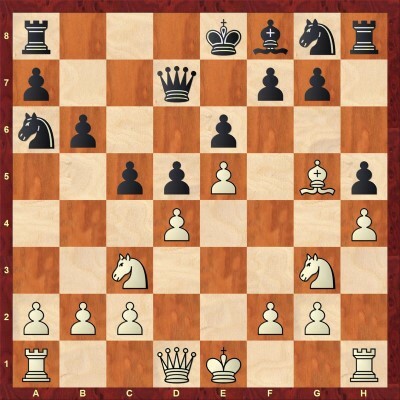 Marin's suggestion is the principled 4...dxe4 5.a3 Bxc3 6.Nxc3 Nc6 where Black wins one central pawn and attacks the second one. 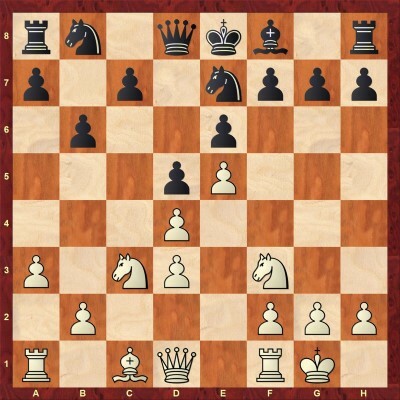 White's answers 7.Be3 and 7.Bb5 are analyzed in this chapter, while 7.d5 is analyzed in the next one. 7.Bb5 is the most common move in the position, but Black has found ways to overcome opening problems with 7...Nge7. 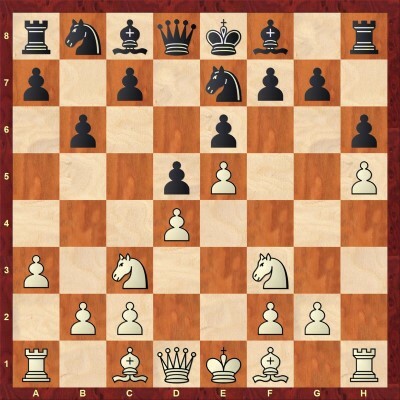 Now White can regain the pawn with 8.Nxe4, which does not bother Black as he capitalizes on his lead in development with 8...0-0 9.c3 e5! which is a motif known from chapter 4. Instead, 8.Bg5 is probably more critical when Black answers with 8...f6 9.Be3 0-0 10.Qd2 f5 and tries to break in the center with e6-e5 at right moment. Now, after 9...Nf6, White has several ways to deploy his queen. 10.Qh4 is "the most popular move, in the spirit of the 4.Qd3 variation examined above, aiming to get some pressure with Bg5." However, White can hardly put his bishop pair to a good use due to lag in development and black's centralized knight pair. After 9...Qe7, followed by ...0-0-0 and ...Nf6-d5, Black's chances are no worse. Delayed exchange variation is White's second most popular choice here. Marin explains that "...White hopes this would be an improved version of the Exchange variation as Black has committed his king's bishop already. 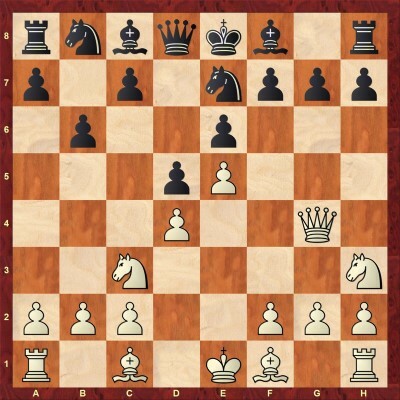 Generally, White's main hopes are connected with setting up some light kingside pressure..." After 4...exd5 5.Bd3 (White's 5th move alternatives are covered in this chapter), he recommends the most ambitious line 5...Nc6, keeping Black's options with regards to castling open. In this chapter, the main focus is on rare moves, such as 6.Be3 and 6.Nf3. The key game Starostits-Arizmendi illustrates well strategic ideas for Black, such as Nc6-d8-e6 and c7-c6, Bb4-a5-c7 maneuvers, as well as flexibility with castling. According to the author, this is more consistent than 6.Nf3, but it still does not pose serious problems to Black. The exchange on d5 has opened his light-squared bishop and thus 6...Nge7 prepares ...Bc8-f5, with a favorable exchange of bishops. 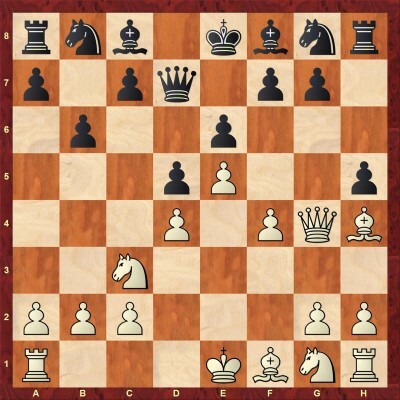 After 7.0-0 0-0 8.Bf4 Bf5 Black has just about equalized and it is enough to look at a few games by the French expert Wolfgang Uhlmann to get a feel for this position. 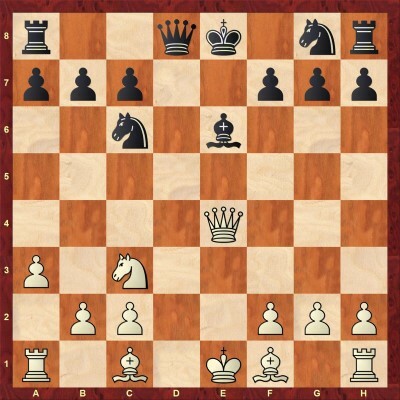 "White's bishops' pair is potentially dangerous and the pawn break c3-c4 may offer him some initiative if carried out after the needed preparation. But Black can fight against these dangers by exchanging the light-squared bishops, even if sometimes this costs him a pawn. In this case, the remaining bishop could simply turn into a "bad" one and the central structure would remain weak." Now, in order to prevent Black's main idea ...Bc8-f5, White usually plays 8.Qf3. Insertion of 8.Rb1 and 8.Qh5 most likely favors Black after 8...b6 and 8...g6, respectively. 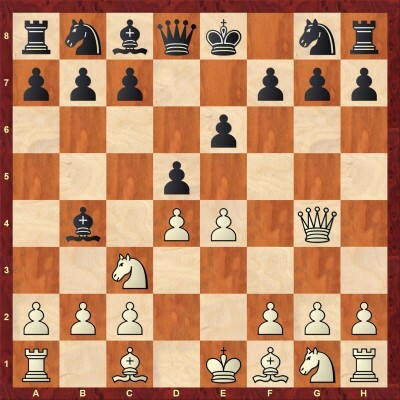 After 8.Qf3, Black prepares the above-mentioned maneuver with 8...Be6 9.Ne2 Qd7, while also connecting his king and queen's rook. The only way to stop ...Be6-f5 is with 10.Ng3, but now Black highlights a somewhat awkward position of the white knight with 10...0-0-0, followed by ...h7-h5! This pawn sacrifice offers Black excellent play on the light squares. In this chapter, GM Marin introduces 4.e5 b6!? variation by examining several sidelines. 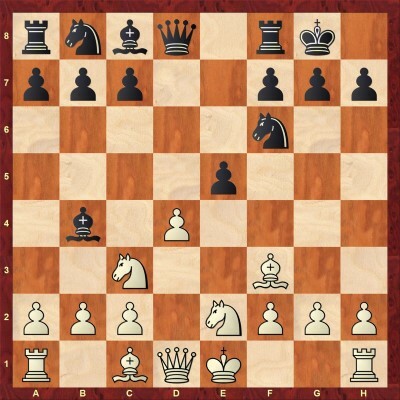 "Seemingly active" 5.f4 allows Black to fully demonstrate his strategic idea with 5...Ne7 6.Nf3 c5 7.Bd2 Bxc3 8.Bxc3 Ba6. 5.Nf3 is non-threatening and Black can continue in the similar fashion with 5...Ne7 and ...Bc8-a6. After 5...Ne7, White has several setups at his disposal. 6.Qg4 comes too late as Black can just defend g7 pawn by castling. 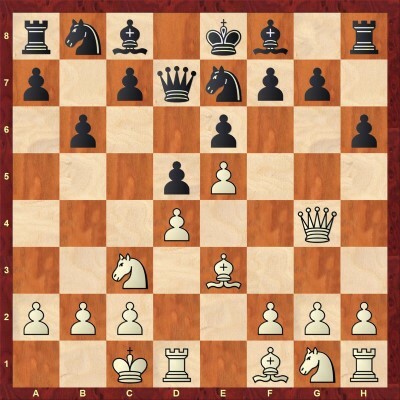 6.Nce2 is an interesting way to keep his pawn chain intact, but it is also time-consuming. Critical moves are 6.Nf3 and 6.f4. In both cases, Black continues 6...Bxc3 7.Bxc3 a5! ?, prepares the light-squared bishops exchange via a6 square and sets up the blockade on light squares on both sides of the board. Marin presents two well-annotated model games: Geller-Seirawan and Firat-Marin, which illustrate Black's strategy in such positions. As mentioned in the introduction, the pawn on g7 is defended with this non-weakening retreat. The author considers this "quite a paradoxical position". After 5 moves, all Black's pieces are on their initial squares. But in the next phase, his play is likely to be simple, as he can combine ...Ne7 with ...Ba6 and ...c7-c5. White's queen may well remain off-side on g4 while the d4-pawn could become vulnerable since c2-c3 is not available..." 5.Qg4 is a major line in 4...b6 variation and in this introductory chapter, the author deals with several less common continuations. 6.Bd3 Ba6 7.Nb5 and 6.a4 are designed against black's...Bc8-a6 plan. In both cases, Black is going to take advantage of the weakened b4 square by developing his knight on c6. 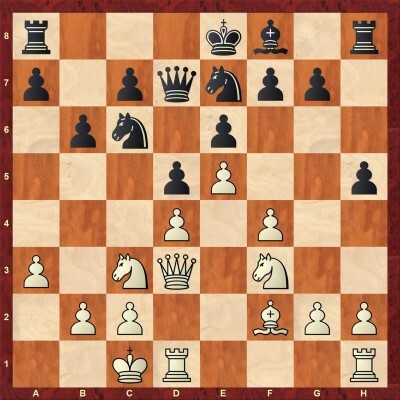 Against 6.f4, it makes sense to undermine White's center (after 6...Ne7) with 7...c5. In connection with ...Ne7-f5 and ...Nb8-c6, this offers Black good counterplay in the center, especially considering the position of white queen. A logical follow-up to 5.Qg4 that contains an opening trap: 6...Ne7? 7.Bxe7! Qxe7 8.Nxd5. Thus, Black needs to play 5...Qd7. White has a wide variety of possibilities at this point and in this chapter, Marin takes a look at 7.h4, 7.Bb5, 7.Nge2 and 7.Nh3. Quite interesting is the direct 7.Bb5 when after 7...c6 8.Ba4 a5 9.a3 Ba6 10.Nge2 h6 11.Bh4 white bishops are placed on opposite sides of the board. Black is extremely solid, which was proven in the game of GM Gulko against Comp Mephisto. 7.h4 is another aggressive try, which is best met with 7...h6 8.Be3 Ba6 9.Bxa6 Nxa6 10.h5 c5, leading to a typical complex French middlegame, where the absence of light-squared bishops is in Black's favor. Queenside castling allows White more freedom in his kingside actions, but it also gives a target to Black, who can easily expand with ...c7-c5-c4 and ...b6-b5, etc. After 7...h6 8.Be3 (8.Qh3!? is a viable alternative, examined in the game Guliyev-Marin) 8...Ne7, Black relies on his usual mix of plans (Bc8-a6 and c7-c5), depending on what White does. The main line examined by Marin is 9.f4 Nf5 10.Bf2 and now the fearless 10...c5 11.Bb5 Nc6 12.dxc5 Bxc5, as played by GM Portisch leads to a balanced fight after 13.Qf3 a6 14. Bxc6 Qxc6 15.Nge2 Bb7, etc. 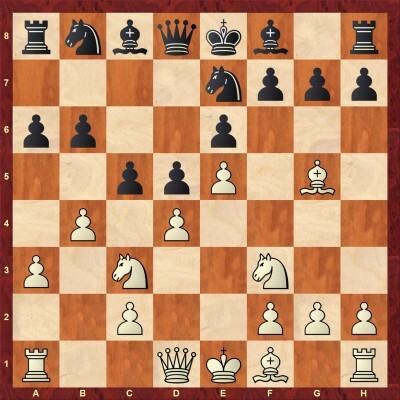 This is the most popular move here as White stabilizes his center and gains more space on the kingside. The author recommends a less explored road: 7...h6!? 8.Bh4 h5, chasing away white pieces and establishing a typical light-squared blockade on the kingside. Only after that does he proceed with the queenside play. For example, after 9.Qh3, Black continues 9...Ba6 10.Nf3 Nh6, which is an important alternative way of developing king's knight. With h5 on the board, Black will most definitely castle queenside and so will White. The key game is Topalov-Vaganian, Groningen, 1993., analyzed in the database. The author considers this "a natural, but not very threatening developing move". 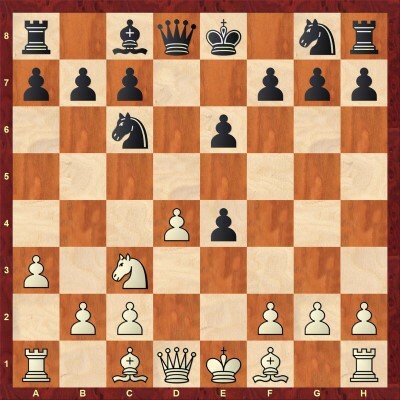 Black might as well include 7...h6 to determine the position of White's dark-squared bishop. Two most common responses are 8.Bd2 and 8.Be3. 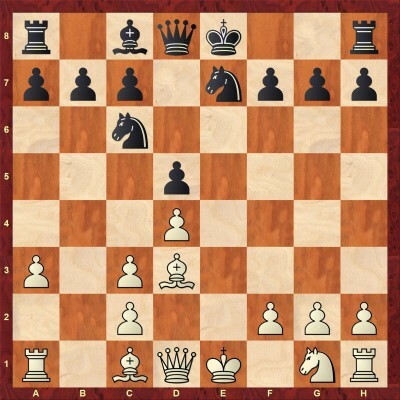 In both cases black can follow his program: ...Ba6, ...Ne7-f5, and ...c5. A common pawn advance in the Winawer French. White plans to seize as much space as possible by pushing this pawn forward, while also creating an option of lifting his rook to 3rd or 4th rank. Marin proposes a somewhat radical solution – 6....h5! ?, which seriously weakens g5-square, but on the other hand, prevents White from pushing the h-pawn forward. He notes that White's optimal regrouping is Bg5 and Qf4, which can be achieved (after 7.Qg3 or 7.Qf3) only at a loss of a tempo for White. In the meantime, Black starts his typical queenside counterplay undisturbed. 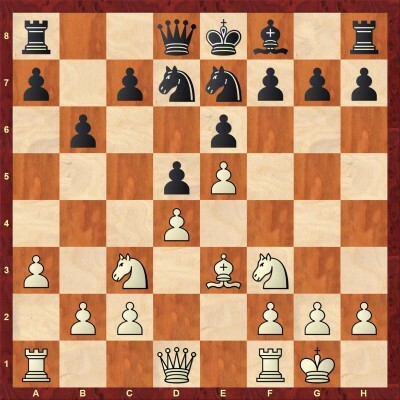 A more clever alternative is 7.Qd1, aiming to attack the h5 pawn after 7...Ba6 8.Bxa6 Nxa6 9.Nge2 c5 10.Ng3. This provokes a further weakness 10...g6. In the game Sutovsky-Psakhis, 1997., White tried to take advantage of it by opening the center with 11.dxc5 and further pawn sacrifice c2-c4, but Black was ultimately fine. GM Marin considers this "a critical test to the 6...b6 system". The move itself might seem odd, but the idea behind it is certainly not. White plans to increase his attack on Black's weakest link g7 by completing Nh3-f4-h5 maneuver. After 6...Ne7, he has two ways to try to achieve that. Firstly, if he plays 7.Nf4 immediately, Black can answer with 7...g6 preventing the unpleasant 8.Nh5. 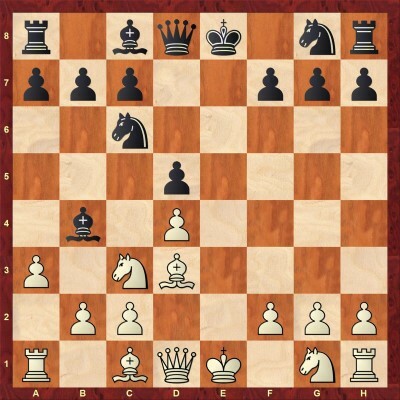 Now in Illingworth-Johansen, 2012. after 9.Be3 Black could have obtained an excellent game with a pawn sacrifice 9...c5! 10.Bb5+ Nbc6 11.dxc5 Bg7!. Secondly, a more critical try might be 7.Bg5, eliminating black knight after 7...h6 8.Bxe7 Qxe7 and now 9.Nf4, threatening both 11.Nxd5 and 11.Nh5, rendering 10...g6 unplayable. However, Marin suggests an enterprising pawn sacrifice: 9...Bb7! 10.Nh5 Nc6 11.Nxg7+ Bxg7 12.Qxg7 0-0-0 13.Qg4 f6! when Black uses his lead in development to obtain sufficient compensation for the pawn. 5.a3 is the main alternative to 5.Qg4. Now, instead of the typical Winawer exchange 5...Bxc3, the author prefers 5...Bf8! ?, in the spirit of the 5.Qg4 variation. He justifies it like this: "True, White has not committed his queen now, but a2-a3 is also a small waste of time and a queenside weakening. ", although the mere fact that it was played by such strong strategists as Petrosian, Portisch, and Jussupow should be a justification in itself. In this chapter, he covers minor alternatives 6.h4, 6.Bd3 and 6.b4 and 6.Bb5+. 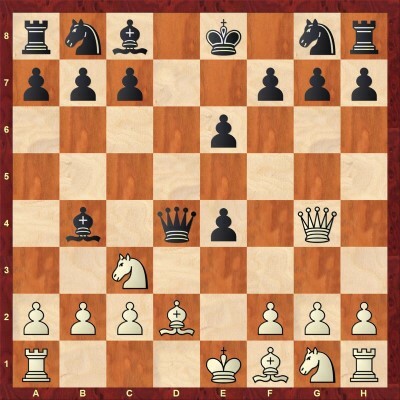 The last one is the most likely to occur over the board as some white players like to provoke 6...Bd7 in order to avoid bishop exchange via a6 after 7.Bd3. After 7...c5 8.f4 Nc6 9.Nf3 black does not hurry to take on d4 with a pawn, but rather continues his development with a thematic 9...Nh6. In case of 10.0-0, Marin recommends the queenside expansion plan with 10...c4! ?, when it turns out that it is not easy at all for white to carry out a similar operation on the other side of the board. As usual, this plan strengthens White's center, while also facilitating Black's kingside development. Both 6...Nh6 and 6...Ne7 are possible. 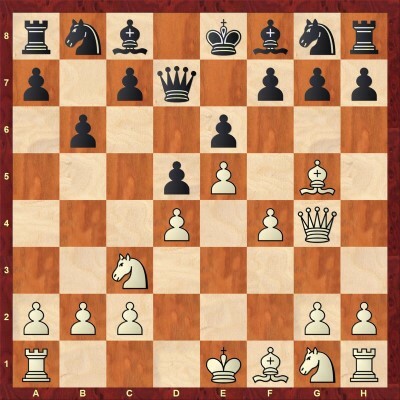 The author prefers the latter because it also allows Black to consolidate light-square blockade with 7...h5. This is evidenced from his own game against Bassan from 2012. It continued logically: 7.Be3 h5 8. Bf2 Qd7 9.Nf3 Ba6 10.Bxa6 Nxa6 11.Qd3 Nb8 12.0-0-0 Nbc6 when probably the critical position of this line has been reached. White is trying to execute the h3-g4-f5 plan. 13.h3 offered Black good counterplay after 13...Ng6!, but a more circumspect 13.g3 is the critical test for black. Marin's suggestion to look for counterplay on the queenside with 13...Na5-c4 looks to the point. According to Marin, "this is the most consistent move, continuing the development without making any important commitment." Black's response is the usual 6...Ne7, when white has about half a dozen options. 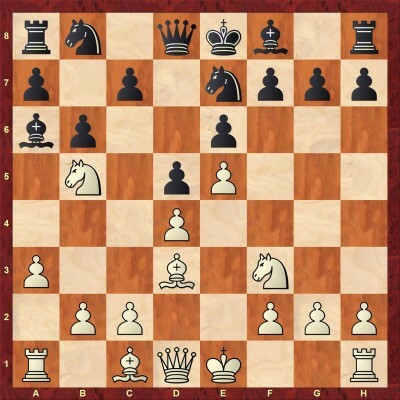 In this chapter, the author examines sidelines 7.Ne2, 7.Bg5, 7.Bf4 and 7.b4. The idea of the first move is to meet Black's ...c7-c5 with c2-c3, solidifying the pawn center. After 7...Ba6 8.Nf4 Bxf1 9.Kxf1, strong GM Gulko showed proper strategies for black in two of his games. 7.Bf4 is played in order to support Nb5 jump in case black plays c7-c5. Marin's improvement 7...Bd7!? is designed to fight against this idea. Finally, 7.b4 is a tactical continuation that Mikhail Tal once used on the account of 7...c5 8.Bg5! ?, threatening 9.Nb5. However, after the calm 8...a6! White has to look for another plan. 9.Ne2 looks reasonable when Marin's proposed novelty 9...cxd4 leads to a complicated middlegame after 10.Nexd4 h6 11.Be3 Nd7 12.Bd3 g5!? 13.h3 Bg7 etc. This is a simple and natural approach. Black continues 7...Ba6, when White can either decline the exchange of bishops with 8.Nb5 (covered in chapter 23) or allow it with 8.Bxa6 or 8.0-0. 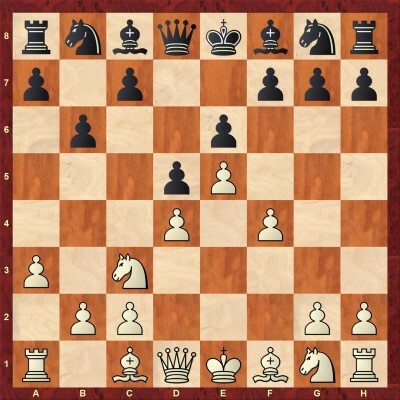 According to the author, the best for White is to quickly complete his development with 8.0-0, when after 8...Bxd3 9.cxd3 we get an interesting pawn structure. White is ready to meet Black's ...c7-c5, but after getting rid of his worst piece black should have a fine game with 9...Nf5, etc. 8.Bxa6 Nxa6 is the other line. 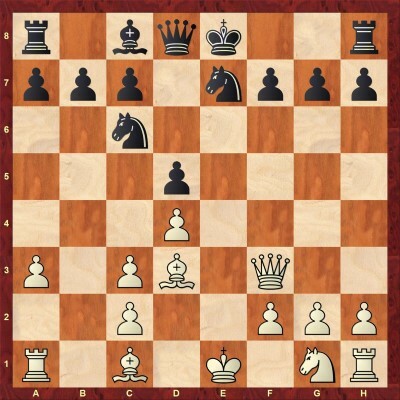 White can castle immediately or support his center with 9.Ne2. In the event of the latter choice, black plays 9...c5 10.c3 Nb8! 11.0-0 c4, blocking the queenside and continuing Nc6-a5, which makes it safe for him to castle there while White tries to drum up something on the kingside. 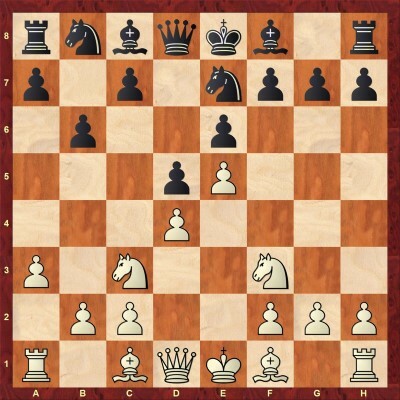 9.0-0 is best met with a similar knight-improving maneuver 9...Nb8! 10.Be3 Nd7. 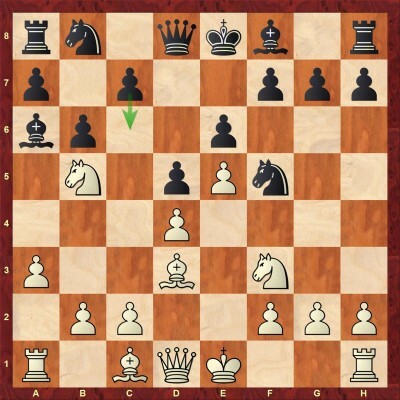 White's critical try is 12.Ne2 c5 13.c4!? which opens up the position. Black is solid enough, nevertheless. 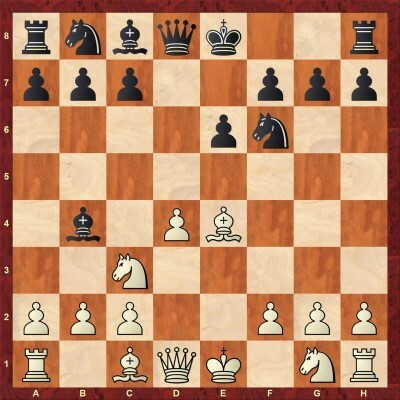 This move declines the exchange of the bishops and also prevents Black's central counter ...c7-c5. The author has faced it over the board against the strong Russian GM Evgeny Alekseev in Jerusalem, 2015. His reaction in that game was a bit passive 8...Nc8, but in post-game analysis, he realized that the concrete 8...Nf5! is the right way to prepare ...c7-c6. 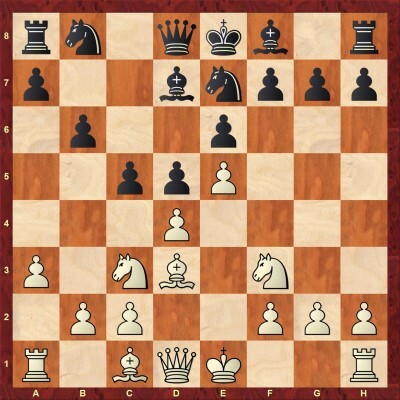 Now, White's most principled move is 9.g4 when, paradoxically, the knight retreats to e7! The point is that White has weakened his kingside quite a bit and Black can afford to spend two tempi to get the knight back to e7 and later to g6. For instance, after 10.Be3, he can calmly retreat the bishop to b7, chase away the knight from b5 with ...a7-a6 and support the ...c7-c5 break with ...Nb8-d7. In that case, he would most likely have a superior pawn structure and White would have to come up with something creative not to end up being worse. This has been one of the most popular approaches for White recently. After 7...h6, GM Marin examines three moves: 8.h5, 8.Bf4 and 8.b4. The first move is the most principled and was successfully used by Croatian GM Ivan Saric against Artur Jussupow. However, Jussupow did not play 8...c5, which is author's recommendation. He believes that 9.Bf4 is the most consistent (9.Ne2 Ba6 is good for Black when an unusual composition of knights: 9...Nec6!? and ...Nb8-d7 leads to a double-edged middlegame in which white expands with g2-g4,etc., while Black looks for a counterplay on the other side of the board. 8.Bf4 Ba6 9.Bxa6 Nxa6 10.Qd3 Nb8 11.b4 Nd7 12.0-0 c6 13.h5 a6 14.Ne2 c5 was seen in Kryvoruchko-Jussupow, 2017., with a good game for Back. Finally, the author has faced 8.b4 himself against an opening expert GM Negi. The game continued 8...c5 9.Bd3 Nec6 10.b5 Nxd4 11.Nxd4 cxd4 12.Ne2 a6! and White soon regretted his opening choice. A familiar move with the idea to draw black bishop to d7. 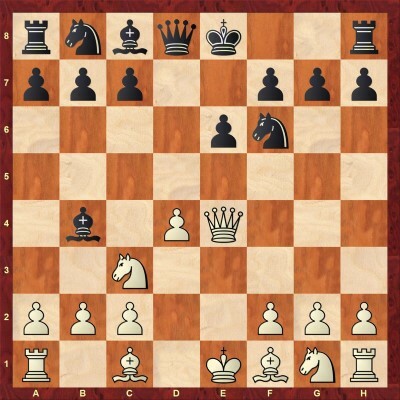 After 7...Bd7 8.Bd3, it is important that Black can undermine white's center without hesitation: 8...c5. The critical 9.Nb5 is met with 9...Nf5 and if 10.Bg5 Qc8 11.dxc5 bxc5 12.c4, GM Portisch simply took on c4 as 13.Bxf5 is met with 13...Bxb5 and Black preserves his solidity. White, of course, has other options at several junctions, which are also analyzed by Marin in this chapter. He claims that the most flexible one is 9.0-0, which is also a new move. Black can now prevent white's activity with slow moves like 9...h6!? or 9...a6! ?, but according to the author, also the straight-forward 9...Nbc6 is good when 10.Bg5 Qb8 11.Nb5 Ng6 12.c4 a6 leads to a complicated position, ideal for those looking for an early clash in the center. This chapter is a must-read for any chess player who wants to understand the structure with the blocked center better. GM Marin introduces this typical French pawn structure with a detailed breakdown of its general features and White's and Black's typical plans. He sums it up well in the following passage: "Whenever playing this type of structure I have a unique feeling about the depth of chess in general. The simple mentioning of the main ideas above creates an image of complexity as both sides have countless possibilities of combining attack with defense in the process of developing the typical plans. " Then he analyzes 7 instructive games, starting with a top-level game Kasparov-Ivanchuk, Horgen, 1995. Examples from Petrosian's, Bronstein's, and Kortchnoi's practice are there as well, while he also adds a personal touch by looking at several of his wins and losses in this structure (and 4...b6!? variation in particular). The author also provided 30 tests, predominantly from 3...Bb4 4.e5 b6!? variation. This is a good practice that will further your understanding of positions and structures that arise in this variation. Below, you can find five of them.